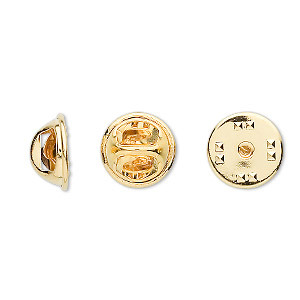 Tie tac clutch, gold-finished brass, 11.5x10mm push-in. Sold per pkg of 100. Item Number: H20-1632FN Have a question about this item? 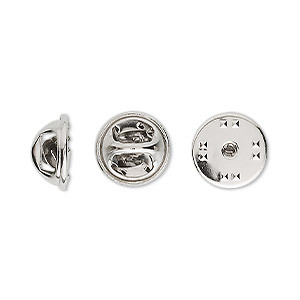 Push-in clutch offers security when attaching to a tie tac pad component or lapel pin. Attach a safety chain to the loop for added security. Ideal gifts for Father's Day, Valentine's Day, weddings and graduations, tie tacs are easy to customize to accent any tie or event. Use with the tie tac pad, button loop component and a chain to anchor it to a shirt button--holding the tie in place, keeping it out of the way when eating, working or playing. Works best with tie tacs. 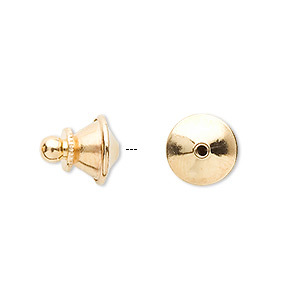 Tie tac clutch, gold-finished brass, 11.5x10mm push-in. Sold per pkg of 10. 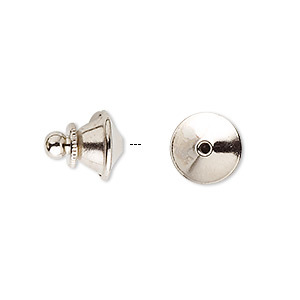 Tie tac clutch, nickel-plated brass, 11.5x10mm push-in. Sold per pkg of 100.